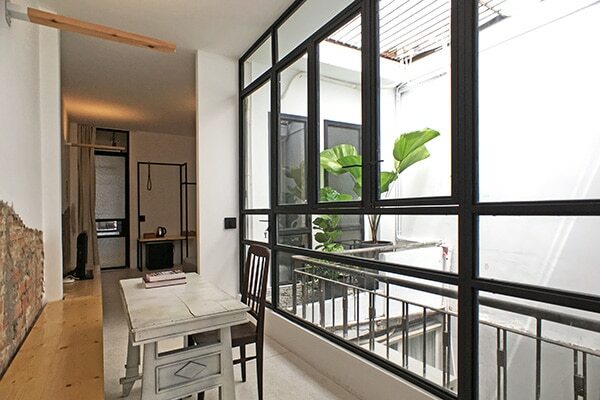 This 3 bedroom apartment is one of our newest projects and is perched above Pastuer Sreet in the heart of the city. 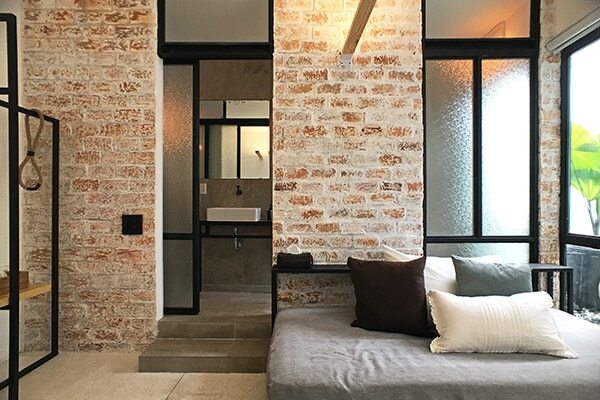 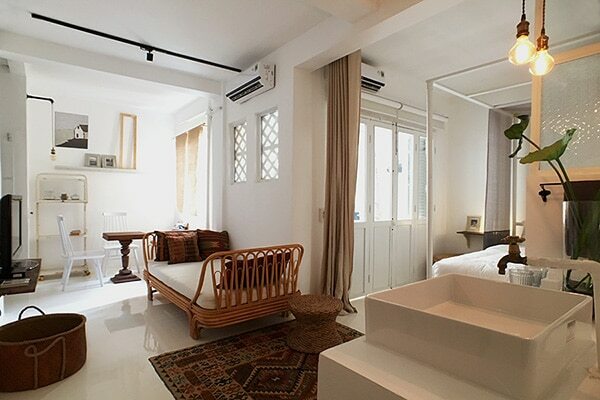 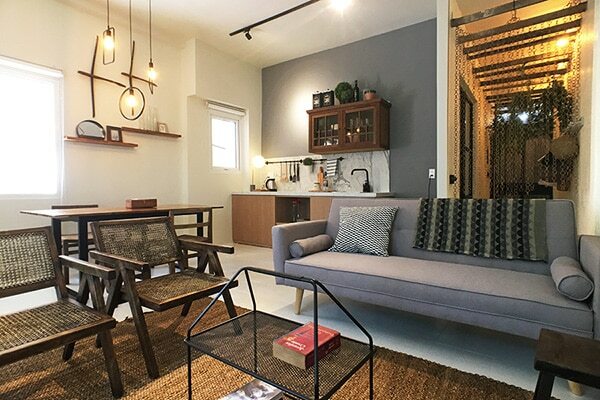 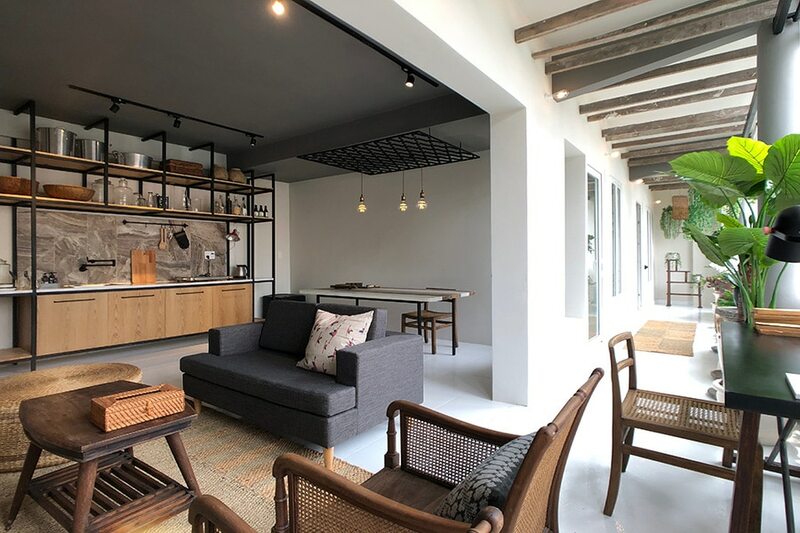 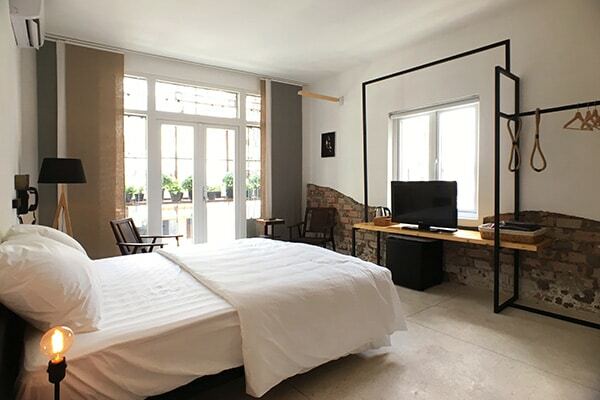 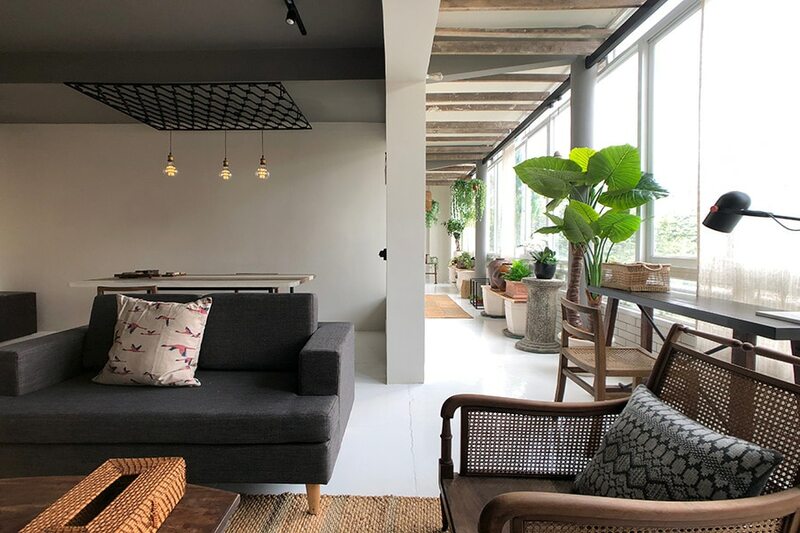 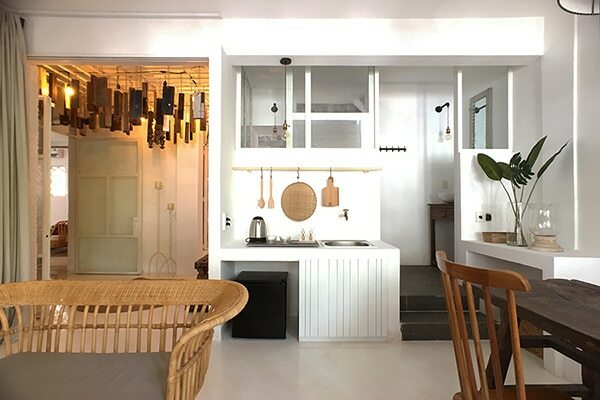 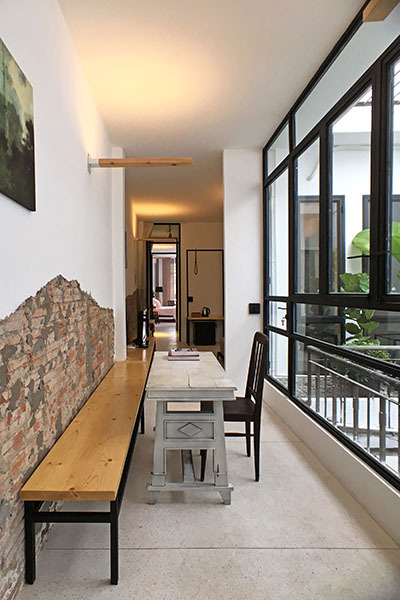 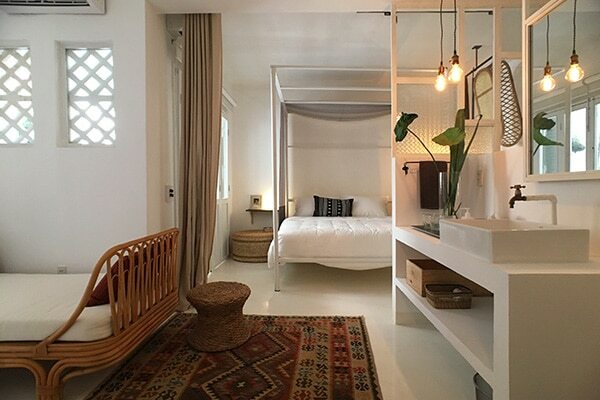 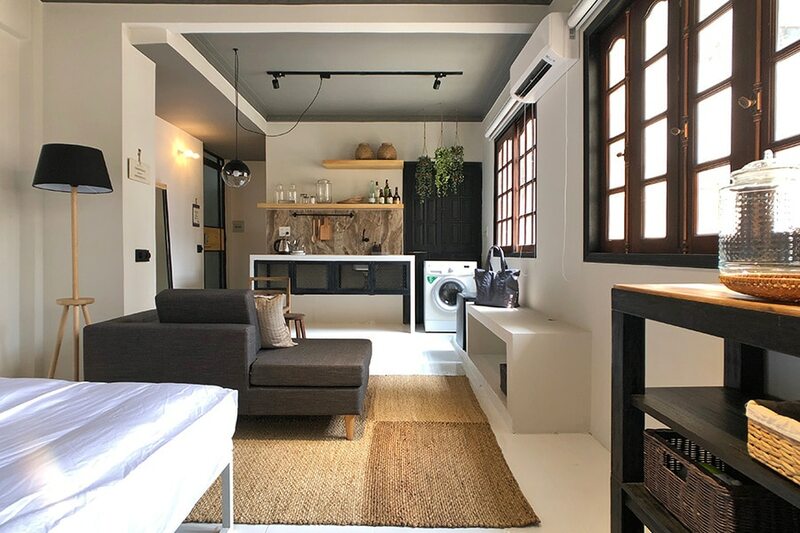 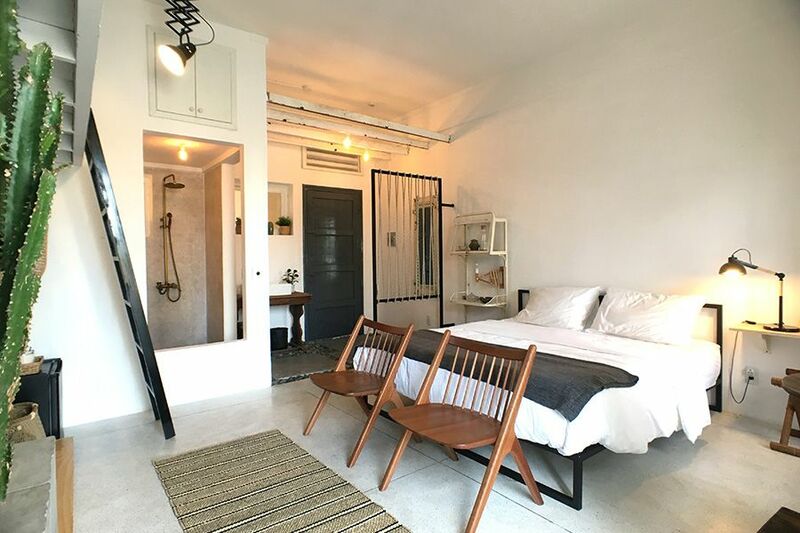 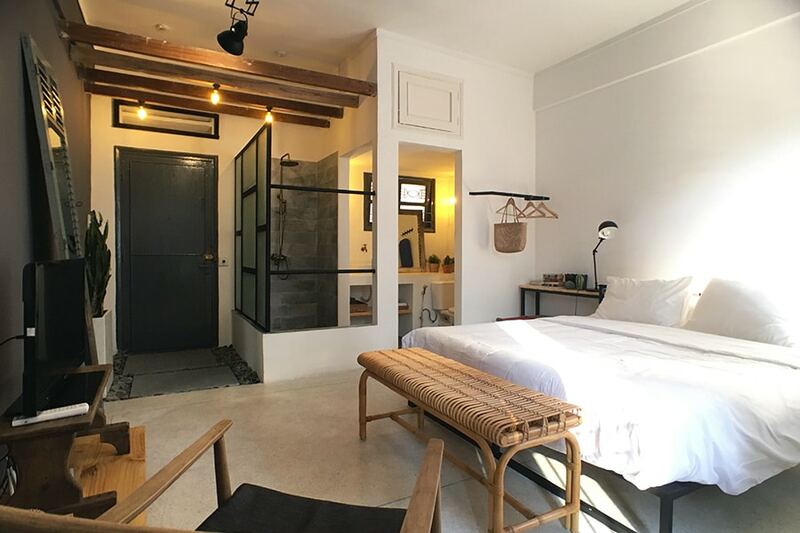 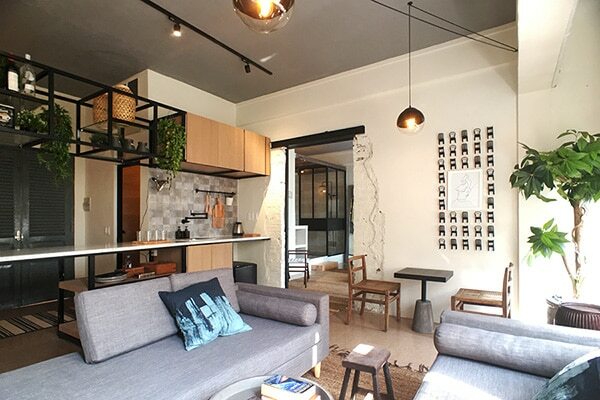 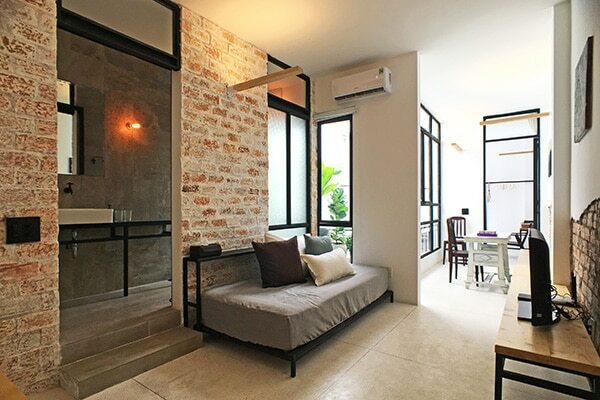 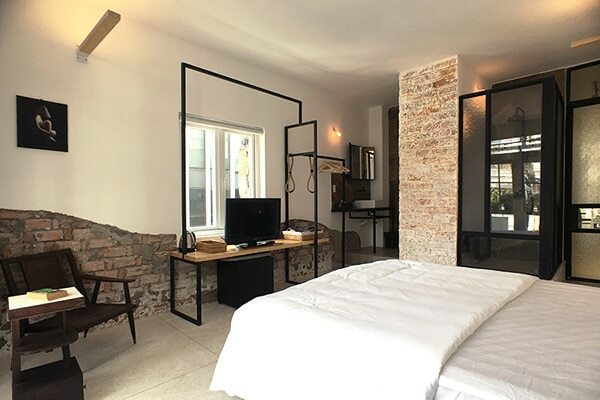 Two bedrooms are located on the 3rd floor, whilst the third bedroom is right on top of the shophouse giving you a panoramic view of the HCMC skyline. 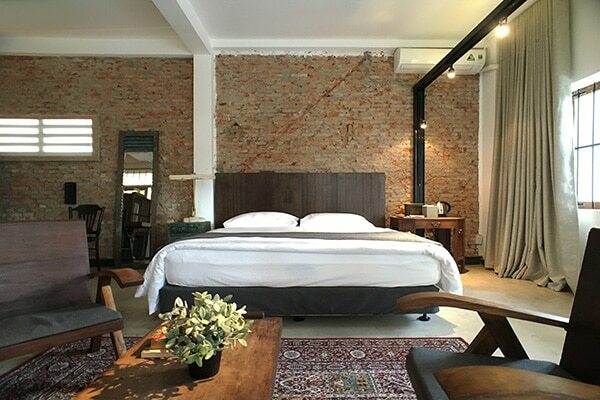 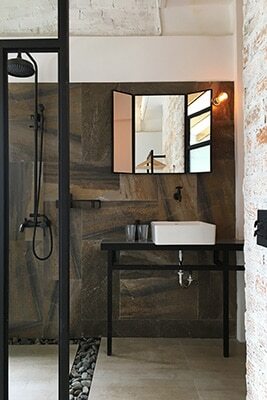 Handmade terazzo floors compliment the distressed wall, whilst the retro furniture and accessories blends in beautifully. 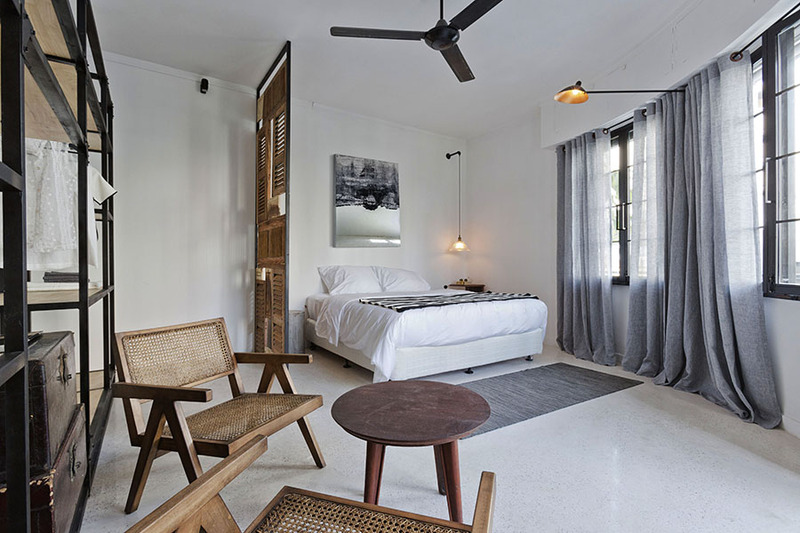 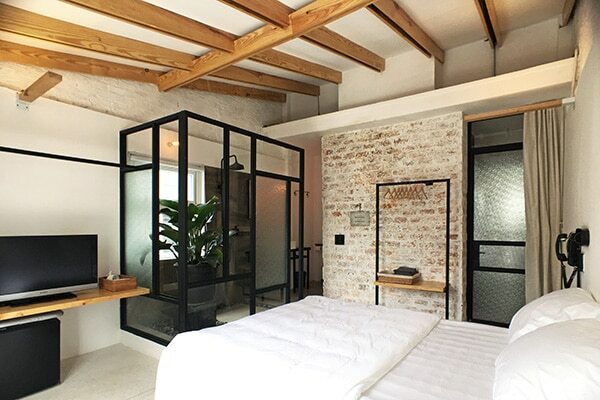 Two of the bedrooms facing the front have their own private blacony, whilst the bedroom at the rear of the building is light & airy with its own airwell and daybed. 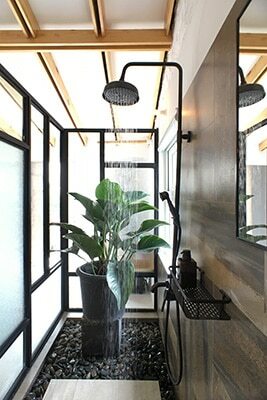 We have installed rain showers in all the rooms and included all the usual ammenities like cable TV, wifi etc. 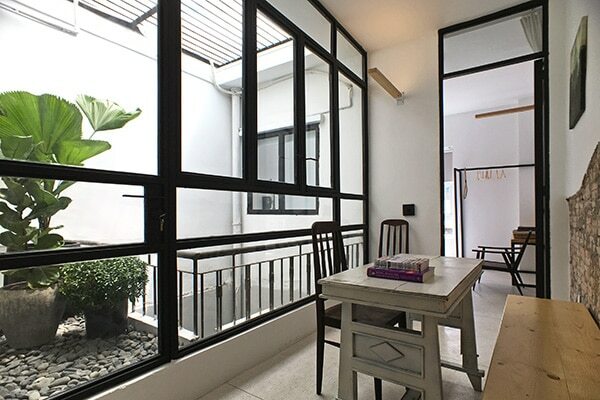 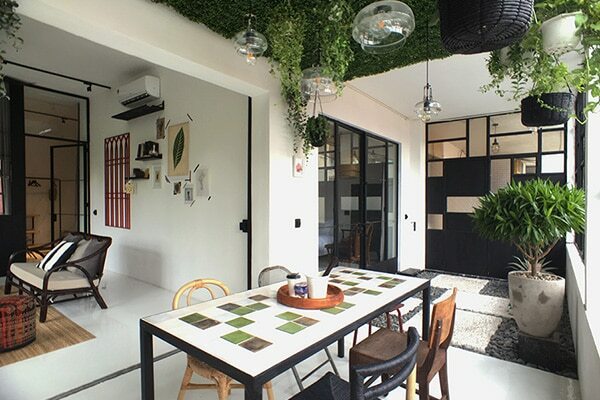 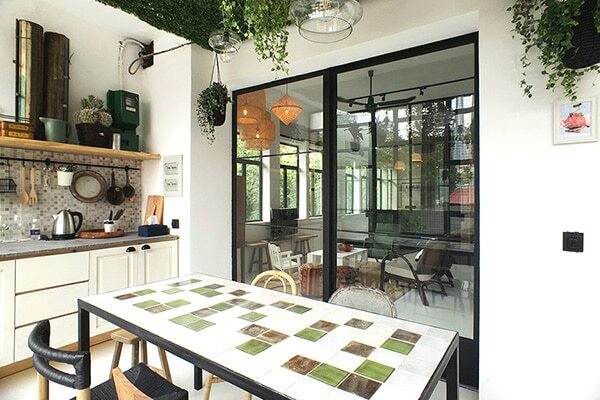 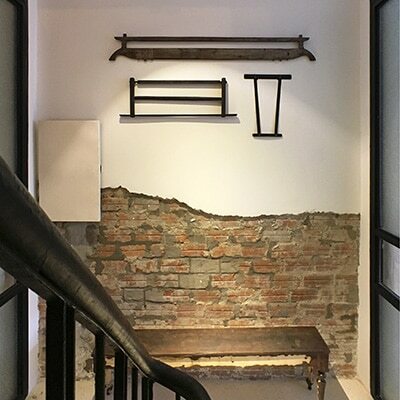 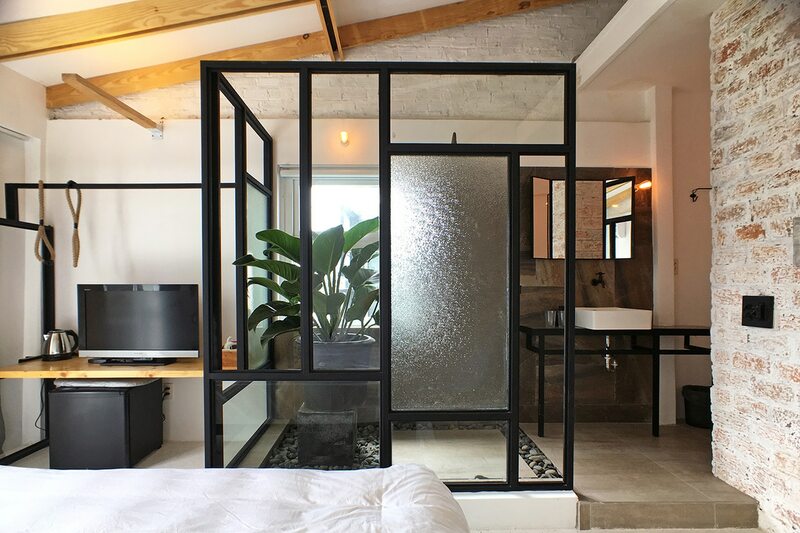 This shopehouse is perfectly located for families or freinds to explore this facinating city and experience living in a stylish home like never before.